A recent article published by Dr. Michael Greger on his website, NutritionFacts.org had caught our attention. It features a 1945 image of Babe Ruth (who died of esophageal cancer at age 53). 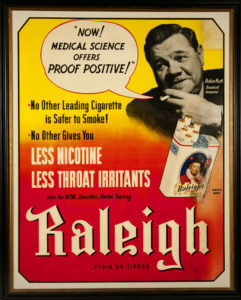 At that time, most doctors smoked, and the AMA and many doctors espoused the health benefits of tobacco. Advertisers boosted their sales with the medical or celebrity voice of authority supporting their product. 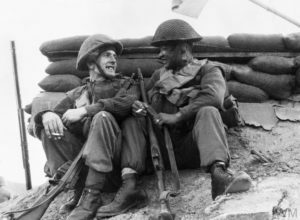 The voices of authority in the military, government, business, advertising, celebrity and medicine joined together to addict billions of people to tobacco. On January 11, 1964, after 2 years of work by 150 consultants poring over 7,000 studies that showed the connection between tobacco and illness, the Surgeon General’s Report was released (on a Saturday, to minimize the effects on tobacco company stocks). Does that 62% statistic get your attention? Conventional Medicine promotes the myth that the surgical and pharmaceutical interventions that it offers are steeped in science. Therefore, we should rely on the medical voice of authority. The Conventional Medicine system also decrees that the lack of science in other healing disciplines, including what we should be eating, renders them inferior. Whether people are worried about their cholesterol, their weight or their risk for diabetes, cancer, heart disease or autoimmune and other inflammatory diseases, there is excellent science to support eating whole, plant-based foods and eliminating animal products. However, the same phenomenon that happened with tobacco is happening with food…the authority voices of government, business, celebrity, medicine and advertising are duping us. We’ve been duped by the “Got Milk?” campaign, one of the most famous commodity brands and influential campaigns in advertising history. It misleads us into thinking that dairy is good for us. 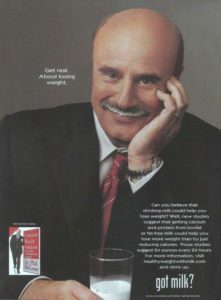 Dr. Phil, one of America’s trusted TV doctors, touts the benefits of milk for weight loss and strong bones. Many people are surprised when they learn that actually the opposite is true. Here is one podcast that reviews the scientific data, revealing that dairy increases risk for cancer, cardiovascular disease and weak bones. During the past five decades, many books and studies have looked at the benefits of vegan and whole, plant-based diets. Important investigators include T. Colin Campbell, PhD, Neal Barnard, MD, Dean Ornish, MD, Caldwell Esselstyn, MD and other luminaries. For a quick review, you can look at sixteen scientific studies in prestigious medical journals such as the Journal of the American Medical Association, the Journal of Pediatrics, the American Journal of Clinical Nutrition and the British Journal of Rheumatology. They are presented in a good 2016 Healthline article by Alina Petri, MS, RD. Kathryn: “If people in the 1950s knew that there were 7,000 studies describing the diseases they would get from smoking, many people like my dad would have never started smoking. Being duped by voices of authority sickened and killed millions of people. 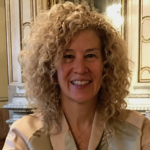 Kathryn Hayward, MD practiced conventional medicine for 30 years, including primary care internal medicine at the Massachusetts General Hospital and Harvard Medical School from 1992 until 2012. Drawing from her experiences in both conventional and holistic medicine Kathryn created Odyssey Journey: a Collaborative Approach to Wellness, an all-encompassing integrative health practice that includes Family Systems work, guidance in Plant-Based Nourishment, and other Mind/Body/Spirit Disciplines. 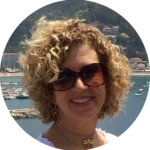 Kathryn will be a facilitator in the Living Whole immersion retreat in June 2019. 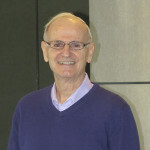 Bill Manahan, MD is regarded as a pioneer in Integrative Medicine in the US, having founded several integrative medicine centers and programs. He is currently Assistant Professor Emeritus with the Department of Family Medicine and Community Health at the University of Minnesota Medical School, is passionate about a whole health approach, and has a special interest in energy healing and spirituality. Bill will be a facilitator in the Living Whole immersion retreat in June 2019. Prasad V, Gall V, Cifu A. The frequency of medical reversal. Arch Intern Med. 2011;171(18):1675. Prasad V, Cifu A, Ioannidis JPA. Reversals of established medical practices: evidence to abandon ship. JAMA. 2012;307(1):37-38. Prasad V, Cifu A. Medical reversal: why we must raise the bar before adopting new technologies. Yale J Biol Med. 2011; 84(4):471-478. Loannidis JA. Contradicted and initially stronger effects in highly cited clinical research. JAMA. 2005;294(2):218-228. Cassel CK, Guest JA. Choosing wisely: helping physicians and patients make smart decisions about their care. JAMA. 2012; 307(17):1801-1802. Brody H. Medicine’s ethical responsibility for health care reform-the top five list. N Engl J Med. 2010;362(4):283-285. Garner S, Littlejohns P. Disinvestment from low value clinical interventions: NICEly done? BMJ. 2011;343:d4519. Elshaug AG, Watt AM, Mundy L, Willis CD. Over 150 potentially low-value health care practices: an Australian study. Med J Aust. 2012;197(10):556-560. Top Publications Health & Medical Sciences. Accessed June 30, 2011. Scientists reviewed each issue of the NEJM from 2001 to 2010. They found 363 studies examining an established clinical practice. In 146 of them, the currently used drug or procedure was no better, or even worse, than the one previously used. The report appears in the August issue of the Mayo Clinic Proceedings. More than 40% of established practices studied were found to be ineffective or harmful, 38% beneficial, and the remaining 22% unknown. Objective: To identify medical practices that offer no net benefits. Methods: We reviewed all original articles published in 10 years (2001-2010) in one high-impact journal. Articles were classified on the basis of whether they addressed a medical practice, whether they tested a new or existing therapy, and whether results were positive or negative. Articles were then classified as 1 of 4 types: replacement, when a new practice surpasses standard of care; back to the drawing board, when a new practice is no better than current practice; reaffirmation, when an existing practice is found to be better than a lesser standard; and reversal, when an existing practice is found to be no better than a lesser therapy. This study was conducted from August 1, 2011, through October 31, 2012. Results: We reviewed 2044 original articles, 1344 of which concerned a medical practice. Of these, 981 articles (73.0%) examined a new medical practice, whereas 363 (27.0%) tested an established practice. A total of 947 studies (70.5%) had positive findings, whereas 397 (29.5%) reached a negative conclusion. A total of 756 articles addressing a medical practice constituted replacement, 165 were back to the drawing board, 146 were medical reversals, 138 were reaffirmations, and 139 were inconclusive. Of the 363 articles testing standard of care, 146 (40.2%) reversed that practice, whereas 138 (38.0%) reaffirmed it. Conclusion: The reversal of established medical practice is common and occurs across all classes of medical practice. This investigation sheds light on low-value practices and patterns of medical research. About 38% of medical practices are effective or likely to be effective. 47% are of unknown effectiveness – no studies have shown them to be effective. ****So, 62% of what we do in medicine is not scientific or evidence based!!! At Clinical Evidence (CE) we aim to help people make informed decisions about what treatments to use. So it would be nice to be able to give a clear, confident answer to every clinical question, based on an abundance of high-quality evidence. Of course, we can’t – but we can often highlight where more research is needed. We want to identify treatments that work and for which the benefits outweigh the harms, especially treatments that may be underused. We also wish to highlight treatments that do not work or for which harms outweigh benefits. For the research community, our intention is to highlight gaps in the evidence – where there are no good RCTs or no RCTs that look at groups of people or at important patient outcomes. Clinical Evidence selects around 3000 treatments that have been evaluated in research for analysis and divides their effectiveness for specific indications into categories. Dividing treatments into categories is never easy, and we spend a lot of time on it, calling on the knowledge of our information specialists, editors, peer reviewers, and expert authors, and revisiting our categorisations at each update of a review. In addition, categorisation always involves a degree of subjective judgement, and it’s sometimes controversial. So if it’s so problematic, why categorise? Because our users tell us it’s helpful.  But, like all tools, it has both benefits and limitations: for example, an intervention may have multiple indications, and may be categorised as ‘Unknown effectiveness’ for one condition but ‘Beneficial’ for another. ‘Unknown effectiveness’ is perhaps a hard categorisation to explain. Included within it are many treatments that come under the description of complementary medicine (e.g., acupuncture for low back pain and echinacea for the common cold), but also many psychological, surgical, and medical interventions, such as CBT for depression in children, thermal balloon ablation for fibroids, and corticosteroids for wheezing in infants. ‘Unknown effectiveness’ may also simply reflect difficulties in conducting RCTs of an intervention, or be applied to treatments for which the evidence base is still evolving. As such, these data reflect how treatments stand up in the light of evidence-based medicine, and are not an audit of the extent to which treatments are used in practice. We make use of what is ‘unknown’ in Clinical Evidence by feeding back to the UK NHS Health Technology Assessment Programme (HTA) with a view to helping inform the commissioning of primary research. Every 6 months we assess CE interventions categorised as Unknown effectiveness and submit those fitting the appropriate criteria to the HTA via their website: http://www.ncchta.org/. And what do our categorisations mean in relation to clinical practice? We would like to emphasise that our categorisation of the effectiveness of treatments does not identify how often evidence-based and non-evidence-based treatments are used in practise. We only highlight how evidence based treatments are for certain indications, based on randomised controlled trials. As such, these data reflect how different treatments stand up evidence-based medicine and are not an audit of the extent to which treatments are used in practice or for other indications not assessed in Clinical Evidence.